Here at TradeNet we’re entering the calendar production season. The new year is only a few months away and this is the time of year when TradeNet’s high-quality calendar products are very much in demand. 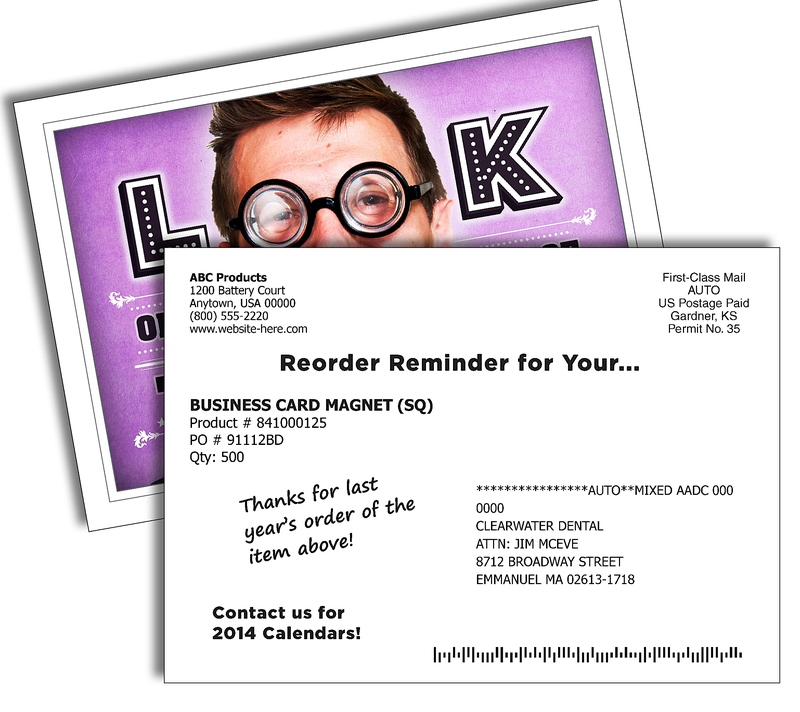 Helping remind our distributors about calendar order time was a large and colorful Magna-Peel® postcard. If the oranges didn’t get attention, then the peel-off 2014 magnet certainly did the trick. Magna-Peel® laminated post cards give extra impact to bulk mail marketing. The magnet is adhered to the card, putting your magnet and message directly into customers’ hands. Juicy stuff, indeed! TradeNet offers a variety of postcard options. We’ll customize your direct mail per your specifications and USPS compliance standards. And then there’s those magnets! And calendars! Oh, my! Remind your customers it’s time for business. TradeNet is all about helping you deliver Your Message Your Way®! At no charge to you, let TradeNet take the lead and cover the cost of sending re-order reminders directly to your customers. TradeNet will design and produce attention-catching postcards, then customize those cards with your company name and contact information. The cards are mailed with your customers’ addresses and order information. We get your cards in the hands of appreciative customers. We consider these your postcards and the end result to be your business. That’s why TradeNet will not be identified anywhere on the card. Only YOU! Perhaps you’re already signed up for this popular service. Very good! We’ll keep it up. If not… Click the “SUBMIT” link below. We’ll happily remind your customers when it’s time to reorder quality, USA-Made products from you.